People spend a lot of time in their cars, which explains why wireless carriers want to key in on data usage habits in the cabin. 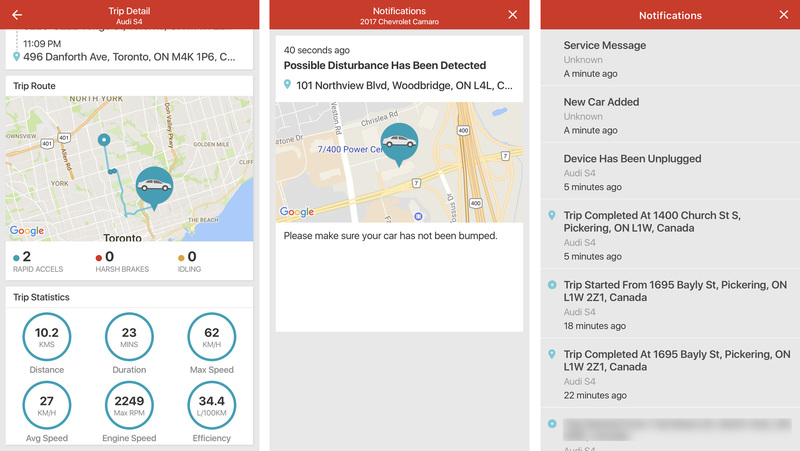 Rogers’ Smart Drive and Telus Drive+ aim to open up monthly data buckets, while also offering some peace of mind to drivers and parents. The marketing language around both products misses important points, leaving out caveats to how they work and what they can’t accomplish. Some of these were covered already, so I’ve tried to avoid rehashing redundancies, but others are relevant throughout. Distracted driving laws always cast a pall on handling a phone, but neither the Smart Drive nor the Drive+ are designed to do much about that. These two modules, which plug into a vehicle’s OBD-II port, are about data and driving statistics. There is a slight nod toward car diagnostics, but as I’ll point out, those are limited in scope. The primary reason for reviewing these two together is because they are the exact same hardware and software. 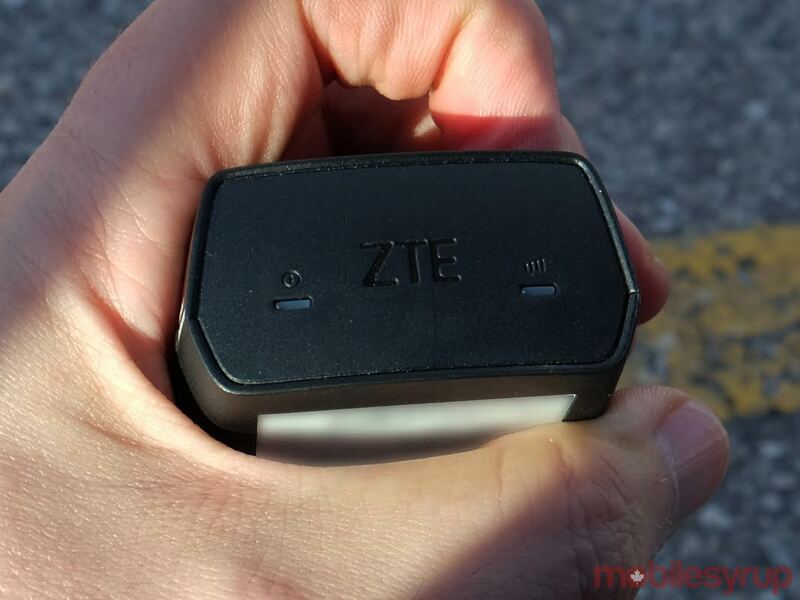 ZTE manufactures the device, while Vancouver-based developer Mojio handles the software and cloud-based features. Rogers and Telus basically white-labeled the service and slapped their own presence onto their respective apps for iOS and Android. 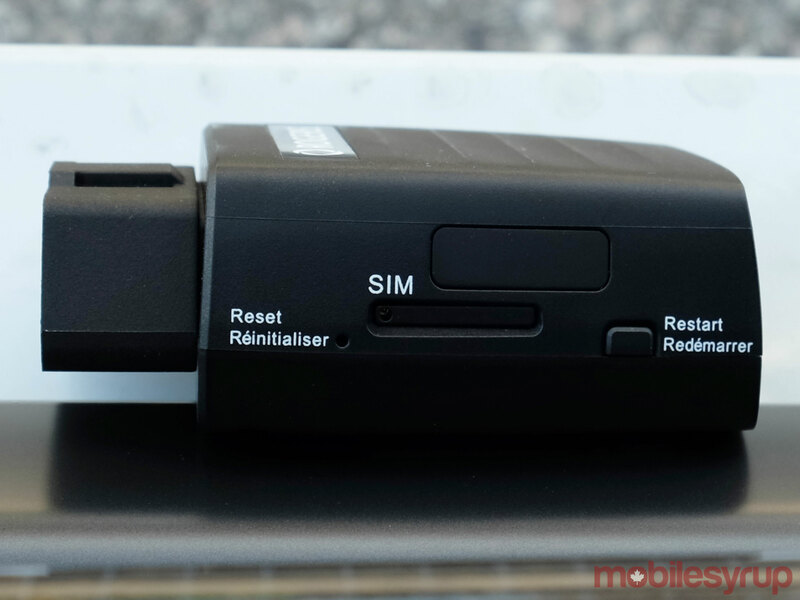 Each module has a SIM card slot. The card you put into it must be tied to a Share Everything account for Rogers subscribers, or a shareable data plan for Telus subscribers. Once setup and installed, which is very simple, the device becomes part of the shared data plan. It has its own SSID and password to broadcast an in-car Wi-Fi network, which is particularly relevant to Wi-Fi-only devices. Additionally, the device tracks each drive, noting start time and where last parked. Parents can set a geo-fence to keep teens from venturing too far, as well as set speed parameters. If crossed, they would get notifications on their own phones. There is a slight anti-theft element to this, though I will touch on that in a bit. Despite every vehicle since 1996 having an OBD-II port, support is not universal. Combustion vehicles will work fine, though some diesel models might not be entirely accurate. Some hybrids will, but not all. Electric vehicles are totally incompatible. 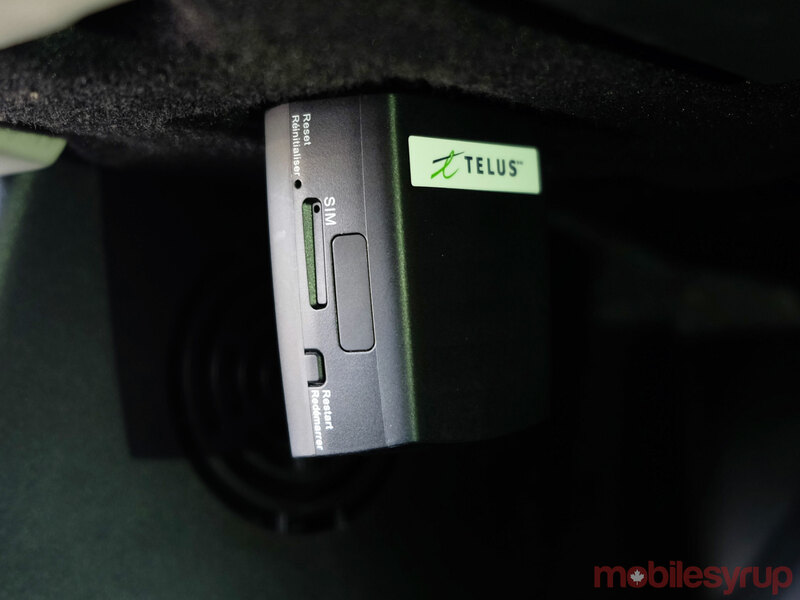 Some of the restrictions and best practices are laid out by Telus. Both also have compatibility checkers. You can, however, move the device from one vehicle to another. I tested these on four different models, and only ran into a compatibility problem with one: the BMW i8, which is a hybrid. While not officially noted as incompatible, it pretty much is. Every time I locked the car and walked away, the alarm would start blaring within five seconds. I imagine some might scratch their heads at the purpose these two devices serve. Why not create a personal hotspot from a phone or tablet and just use that? It’s a good point, and makes sense if the in-car Wi-Fi is the only value proposition for a prospective customer. The difference is that these devices are dedicated hotspots, are not really multitasking and only use the data allocated to them. Rogers and Telus are currently offering 1GB bonuses for their respective units. It’s a pittance when you really think about the use cases for in-car Wi-Fi. How long would two kids roll right through that streaming video in the back? I did appreciate the convenience of getting in the vehicle and connecting right away, never having to fiddle with my phone or turn on a personal hotspot for any reason. Passengers were connected, and sometimes didn’t even realize when it happened. The signal was also consistent in both cases. I streamed music in the car from a phone that had no SIM. One passenger had soccer playing on DAZN relatively smoothly. Social media, email, messaging — all worked like they normally would on a phone. I could see some unique scenarios where these devices could be beneficial. Taxis in some cities do offer in-car Wi-Fi, but these could allow Uber drivers to do the same, especially for out-of-towners who are roaming. Parents could shut off the Wi-Fi whenever their kids are driving to regulate access or save the data. If insurance companies can get on board and cut premiums for using devices like these, that would add another incentive. The role of administrator does play a big part. The primary account holder is designated in that role by default, allowing them to manage the different features and controls. The Android app’s ‘Do Not Disturb’ mode can also silence and hide notifications anytime, whereas it’s suppressed on the iPhone because Apple’s own mode takes precedence. There are two prongs to this. Safety is as much about the driver’s own habits as it is about anything else. Except there’s no way to really delegate that unless you count how a geo-fence and speed or braking alerts could help mitigate danger on the road. There’s no systematic answer here, only tools that could help individual enforcement. Case in point, there’s no stopping a teen from removing the device before driving off. Consequences for that would naturally be anecdotal. Diagnostics aren’t extensive, either. Both devices can read why a check engine light has come on, but they can’t clear it, nor offer a lot of detail as to why the light went on. Basic details about rapid acceleration and hard braking are great for those sharing a vehicle, but are of little value to others. Other OBD-II modules, like BlueDriver, for instance, are all about a vehicle’s engine health and computerized components, with full reports. Anti-theft features are partly by design, partly by sheer coincidence. I would know if someone drove off with my car, and may even get a notification before the thief turned on the ignition — assuming they didn’t notice the device and remove it. Both would register ‘disturbance’ notifications with a delay of 30 seconds. For example, if I entered the vehicle and didn’t start it within 30 seconds, I would get that notification. It’s some type of force that triggers this, be it a door closing, glass breakage, bump from another vehicle, or something to that effect. In my testing, a number of false positives that proved to be more of a nuisance than anything else, yet also signalled to me the higher level of sensitivity involved. Real-time tracking always notes the start and end of a trip, based on where the car was turned on and off. Real-time tracking on the map is okay. There’s a delay of about five seconds or more for location, though I wasn’t able to pinch to zoom on the map. In the unfortunate case of my car being stolen — and the device still plugged in — I would be able to help police track it down. Neither Rogers nor Telus really highlight this as it relates to theft, focusing instead on how helicopter parents might appreciate it. Since it can be so easily removed, I can understand the omission. I’m just not sure every user would know how this part of the device works. As is typical of these two carriers, access is limited. Not only for the type of plan you must subscribe to, but also in how locked down the units are. With Rogers, you can pay off the $199.99 cost over a two-year term, or buy it outright. Except, there’s nothing that ‘unlocks’ the unit. It’s not like you can put any SIM card in it and go from there. It’s another $10/month to add it onto a Share Everything plan. Telus is no different, except the cost is $15/month to add it to a shareable plan. Adding more data is another $15 for 1GB. Unused data doesn’t roll over to the next month. Had they offered this as a prepaid device with rollover data buckets, that would have made things interesting. Automakers who offer in-car Wi-Fi in their vehicles all do so with monthly subscriptions or prepaid data buckets that last up to 12 months. Because AT&T is the carrier in those deals, there’s also no roaming in the United States. Smart Drive and Drive+ are best removed before crossing the border to avoid unwanted roaming fees. The Smart Drive and Drive+ are good in that they can bring Wi-Fi into a lot of different cars, even those going back 20 years. Those with newer models that already have Wi-Fi hotspots can pass on these. Personally, I would rather pay $200 for 10GB that will last up to 12 months than feel the range anxiety of scraping through an extra gigabyte or two each month at a cost of $10-$15 per. 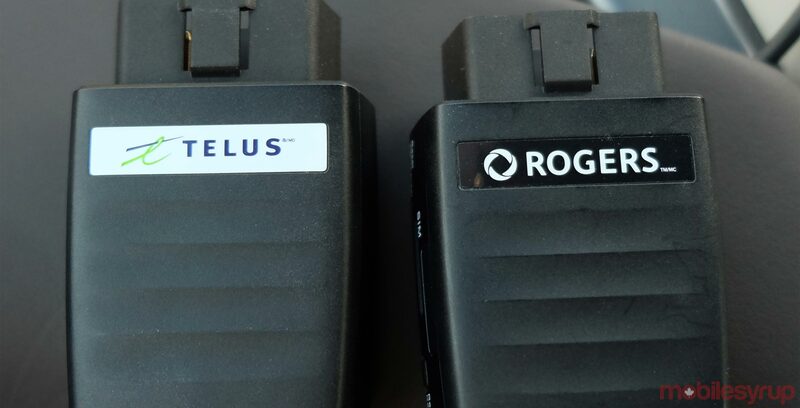 Rogers and Telus are pushing in-car Wi-Fi as the signature feature because it applies to everyone on fairly equal terms. The ancillary stuff is more subjective, but explaining all that would make a stronger case for why these devices represent a functional package rather than a singular feature. Opening them up to make them more accessible would also serve to foster more interest and engagement. As is, these are too restrained out of the gate. "The marketing language around both products misses important points, leaving out caveats to how they work and what they can’t accomplish"